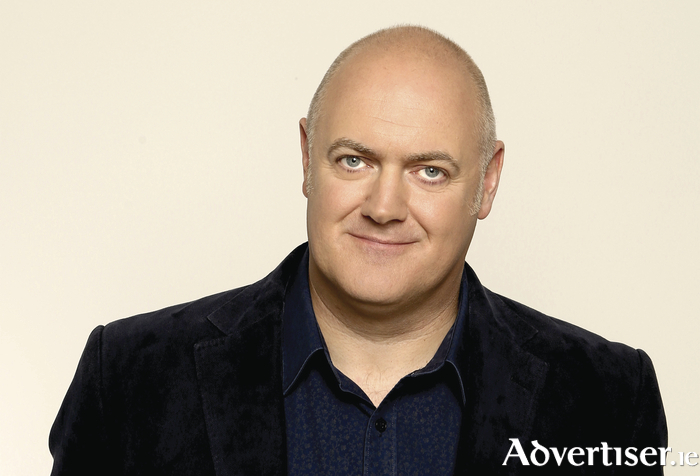 Dara O’Briain: "I love playing Galway - but you guys need a bigger theatre. So many more great comics will visit once you get that built." More than 15,000 comedy fans are set to arrive in the city during the October Bank Holiday weekend to attend the Vodafone Comedy Carnival Galway, an event which is expected to boost the local economy by at least €5 million. The festival has established itself as one of the city's flagship events, and the 2017 event is set to be the most successful yet with tickets selling more than twice as fast as last year, while a number of shows have already sold out. The week-long event will have more than 75 shows in 10 different venues around the city and feature more than 100 comedians, including Dara O’Briain, Kevin Bridges, Tommy Tiernan, Jon Richardson, Reginald D Hunter, Rich Hall, Foil Arms & Hog, David O’Doherty, Rubberbandits, Jimeoin, Katy Brand, and Ardal O’Hanlon. The comedy carnival was launched recently in the Abattoir Bar in Edinburgh’s Underbelly Gardens. Among those attending was by Jimmy Carr. The comic and 8 Out Of 10 Cats presenter lamented the fact he was not booked for the festival, joking: “I’d love to play Galway’s comedy festival, but I haven’t been asked. Who books that gig?” However Dara O’Briain expressed his delight at being involved: "I love playing Galway - but you guys need a bigger theatre. So many more great comics will visit once you get that built." According to festival director Kevin Healy, "launching at Edinburgh Fringe allows us to present Galway to the international media and comedy industry. The event was attended by members of the UK entertainment press, who were in Edinburgh to cover the fringe, as well as top comedians from the festival programme and those we are hoping to work with in the future." Other comdey stars who atteneded the launch were John Bishop, David O’Doherty, Jason Byrne, Ed Byrne, Jimeoin, Andrew Maxwell, Neil Delamere, Jarlath Regan, and Foil Arms & Hog. Also attending the festival launch was Al Porter. The Today FM star presented his show live from the fringe, in conjunction with the Vodafone Comedy Carnival, interviewing Reginald D Hunter, Jimeoin, Andrew Maxwell, the Faulty Towers Dining Experience cast, and Foil Arms & Hog about their upcoming shows in Galway. Al will also play the festival, and among his show will be a 'Best of Al Porter', featuring new and old material accompanied by his full band The Sugar Cubes.